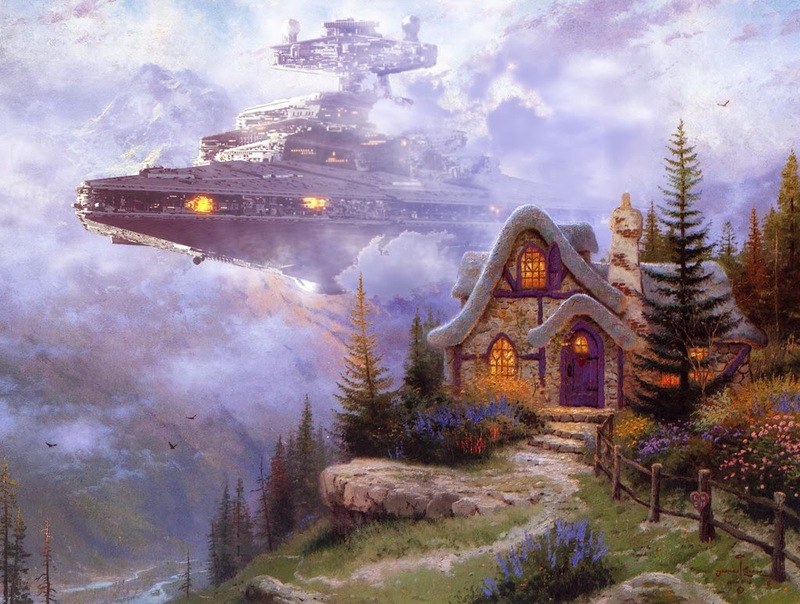 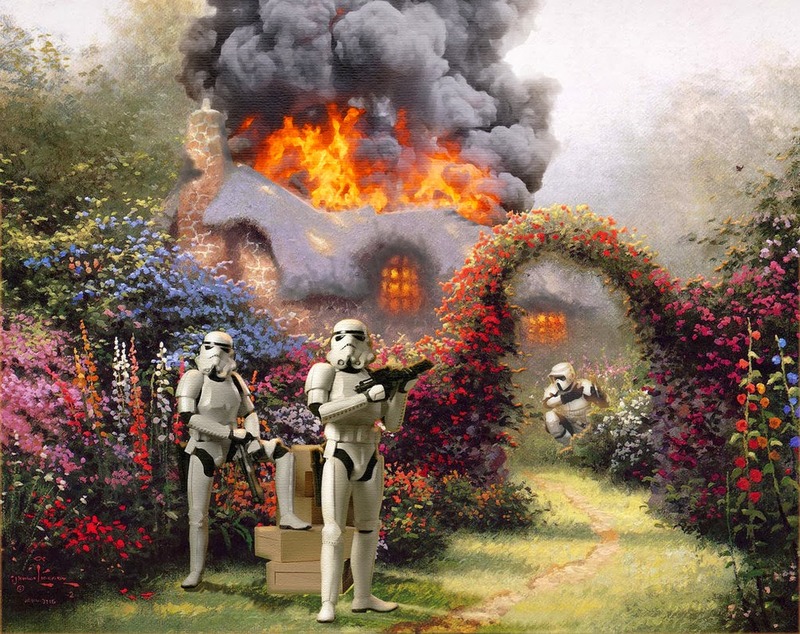 Incredible Mashup between Thomas Kinkade and Star Wars. 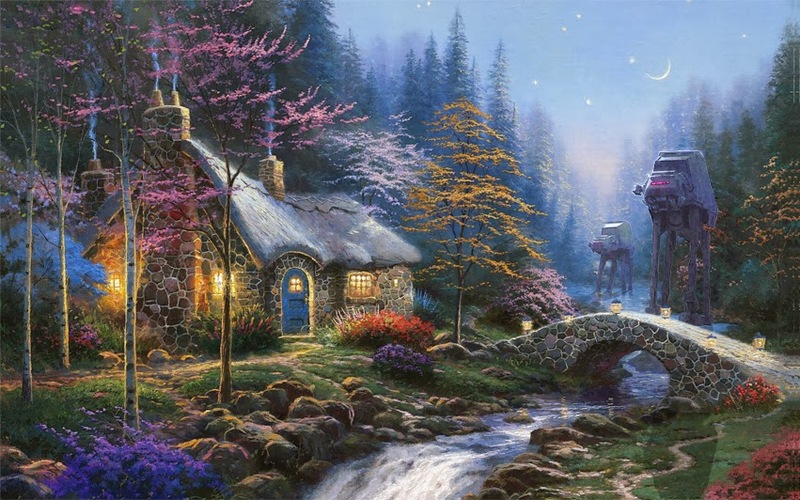 Thomas Kinkade was an American Painter that was famous for his peaceful picture perfect and idyllic scenes. 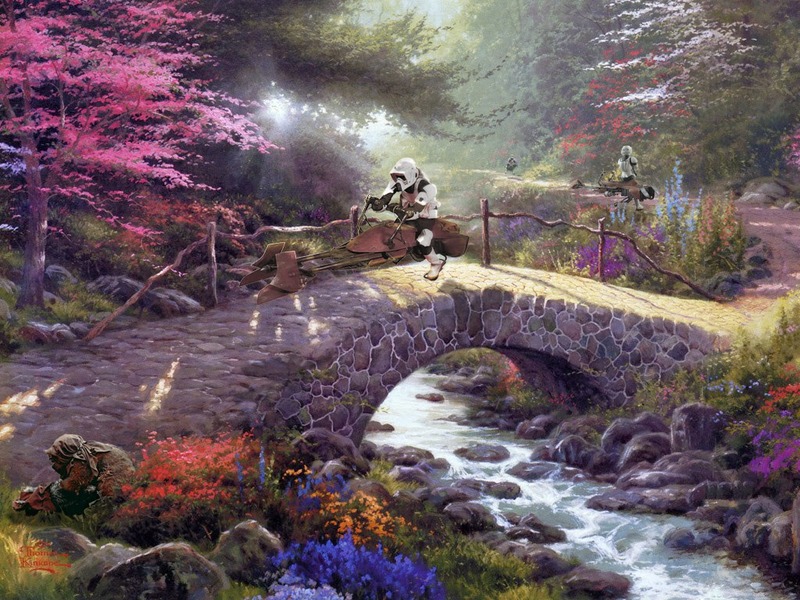 These paintings couldn't contrast more with the images of the Dark Side of Star Wars. 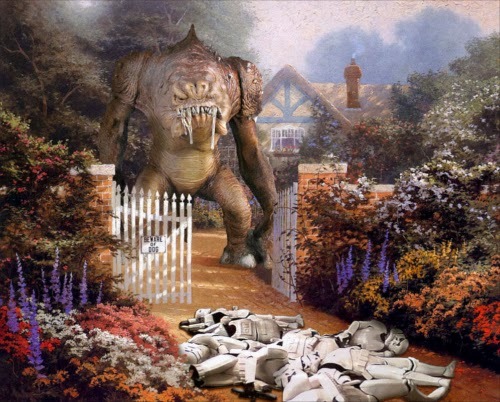 Stormtroopers, a Rancor and the Imperial Ships. 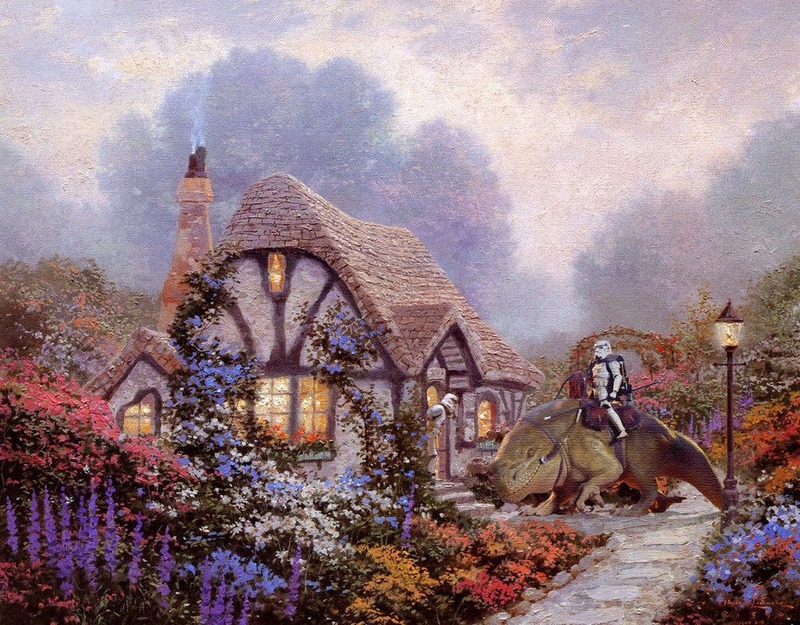 Jeff Bennett brings these two worlds together in these very funny Paintings. 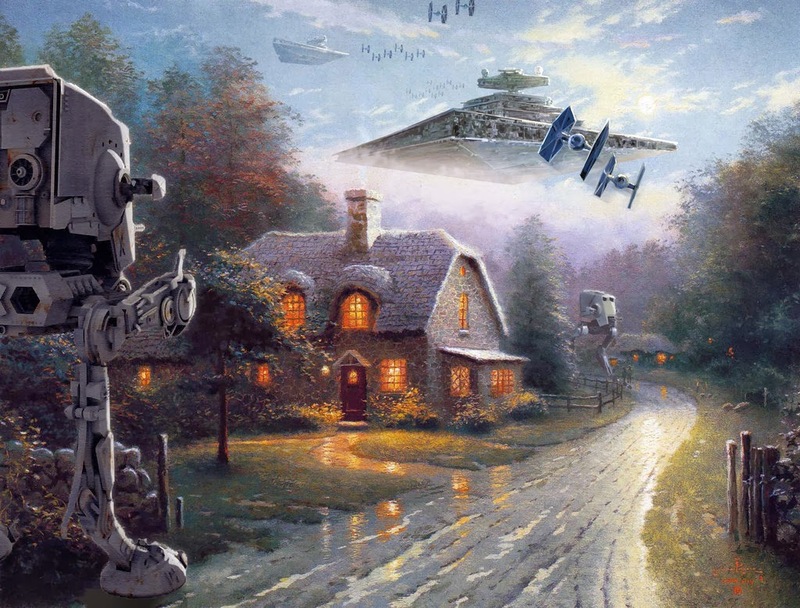 Press the Image to Enlarge.